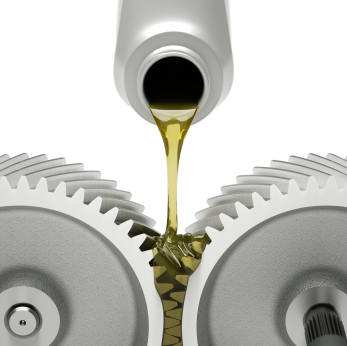 Unlike a fuel oil, lubricating oils typically not used under conditions where coke is formed. Regardless, most analysis that help determine carbon contents in fuel oils can also be applied to lubricating oils. There are three separate methods that are typically used for determining carbon forming properties in fuel oils. The Condrason carbon residue, the Ramsbottom carbon residue, and the mocrocarbon residue. The Condrason carbon residue test consists of placing an exact weighted amount of sample in a container, then administering destructive distillation during a certain amount of severe heating. After the heating period the container is then cooled and weighed and the residue is reported as a percentage of the original sample. The Ramsbottom residue test consists of weighing the sample into a glass bulb container then placing then heating it. The volatiles are typically distilled from the bulb, while the remaining substance cracks and forms thermal coke. After an exact heating period, the bulb is cooled and re-weighed. The microcarbon test consists of a weighed portion of the sample in a glass vial and also heated. with the microcarbon test the heating takes place in a controlled environment. The microcarbon method is typically used for any petroleum product that decomposes at atmospheric pressure. PhosLube performs carbon residue testing on lubricating oils and all other petroleum products.